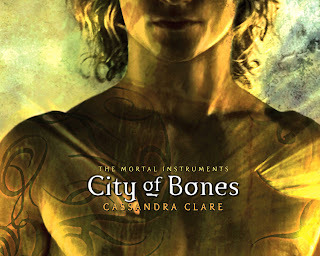 Eliza Reads: Update: City of Bones Movie News! I know I usually do movie news on a Friday, but...I couldn't wait. Isabelle Lightwood has been announced for Cassandra Clare's Mortal Instruments adaptation, along with the short already-cast list of two: Jamie Campbell-Bower and Lily Collins. Alec has also been cast, but Cassaandra Clare was told she couldn't announce it yet. All she said was he is British and has dark hair. There are rumours that it will be Ed Westwick, who was the male voice for the audiobook. I am still rooting for Douglas Booth!! Yesterday Cassandra Clare posted about not being able to talk about Alec HERE. To be honest, I was a bit confused by the "Muglas Nooth" part. So, it looks like my imaginary cast list (found HERE) will pretty much be a bust, but I can still hope, can't I? 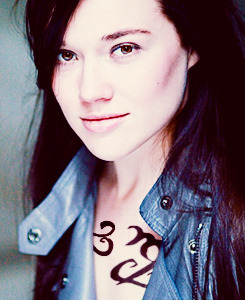 Isabelle Lightwood has been cast, and was announced on Cassandra Clare's BLOG four days ago. It is....Jemima West. She has played Vittoria in The Borgias...Sorry, I really can't see it. But I suppose the cast can't be my imagination come to life, like I would like. Jamie Campbell-Bower is still signed up as Jace. Unfortunately. Jace is my all-time favourite book character, and I really can't see it, nor can I seem to squash my disappointment. Anyway, there were rumours that JCB was not going to end up taking the role, but he is. He is training, apparently, according to his interview in the British Telegraph HERE. Lily Collins as Clary. She's not who I pictured, but she is my favourite of the cast that is being forced on us, I must say. Find more about her HERE. I'm so freaking mad about jace! I don't mind the rest, but jace is horrible! He's my fave character too, and that guy is NOT right for the part.